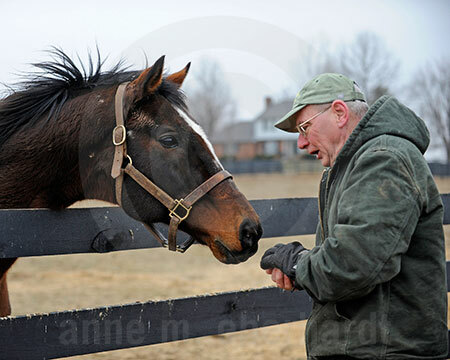 I arrived at Old Friends equine retirement home near Georgetown, Ky., on a cold and windy morning in early February. Michael Blowen, the enthusiastic president of Old Friends, said his favorite time of day is early morning when he makes the rounds feeding the horses. Each horse has a story and personality to go with it. “I love horse racing and to have some of these great horses retired here where I can look after them is wonderful,” said Blowen. Here are a few of the retirees followed by a more in-depth slideshow of my Old Friends experience. 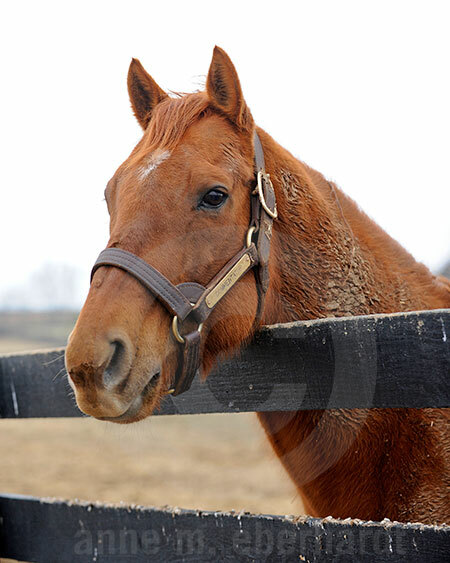 Look for Esther Marr’s feature story on Old Friends in the Feb. 19, 2011, issue of The Blood-Horse magazine. “Sunshine Forever is one of my favorites,” said Blowen. “I say to him, Are you the greatest horse? And he shakes his head up and down.” And sure enough, Sunshine Forever walked over to the fence line when Blowen arrived and shook his head “yes” when asked. Then he ate his carrots and feed. Known as Tator, Commentator loves visitors. 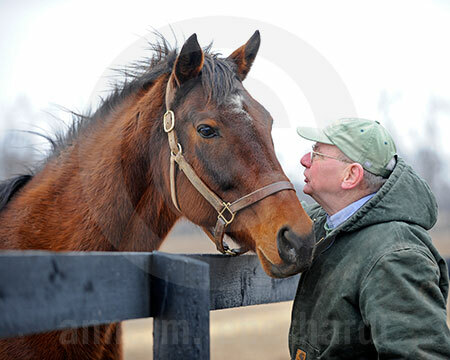 “His groom Gus comes to see him all the time,” said Blowen. Blowen has a special bond with Hidden Lake. “She’s a sweet one,” said Blowen. 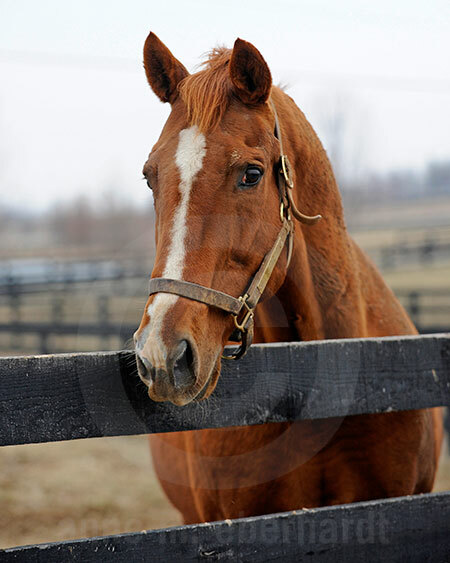 Hidden Lake, one of several retired mares, shares a paddock with Personalized and Cozy Miss. 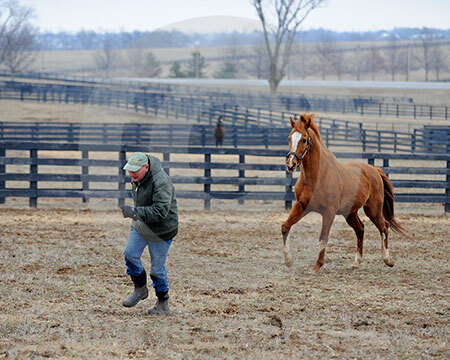 Blowen gets into Marquetry’s paddock and they race each other! The flashy chestnut seems to give Blowen a head start before catching up and passing him. Even on this overcast and cold day visitors arrived and took a tour to see the horses. 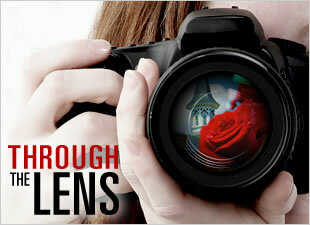 Check out the Old Friends website where you can set up a tour on your next visit to the area. Want to see more? View the entire slideshow.